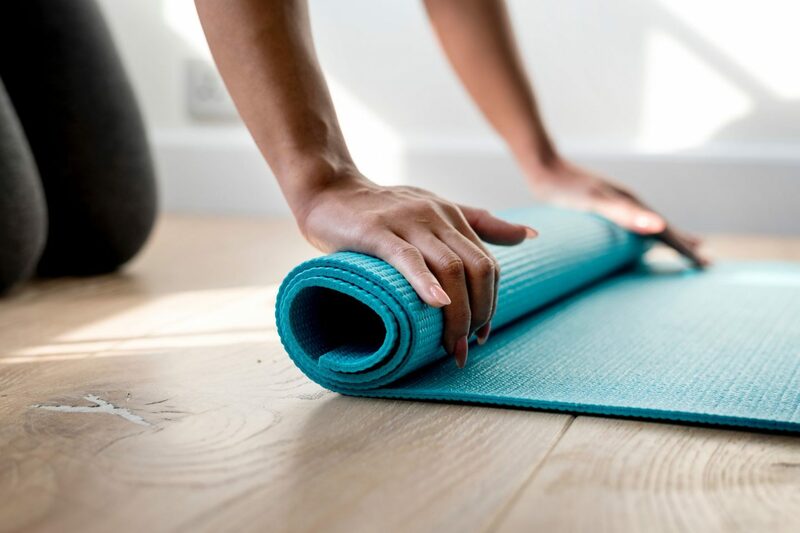 Today Ruth Delahunty joins us from Yogaru with four short yoga sequences you can do at home over the coming colder months to help support your body and mind through the winter. 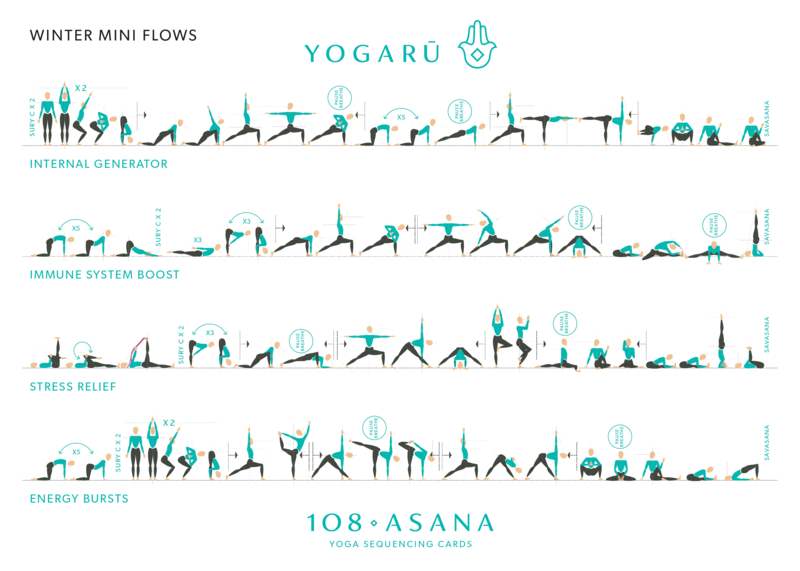 PLEASE NOTE: These sequences will be easier to follow yourself at home if you have some previous knowledge of yoga/have attended some basic yoga classes. Ensure you go at your own pace and if you feel any pain or discomfort in any position, listen to your body and gently stop. Just do what feels good for you. With winter just around the corner, now is the perfect time to reflect on your self-care routines and proactively plan ahead with some pre-emptive measures for the colder months. Yoga can support you through days where the temperatures suddenly plummet; your immune system is being bombarded with winter viruses; work and life demands are pulling you in both directions; and no matter how deep you dig you just can’t find your spare energy store to get you out of bed in the mornings! Yoga is hugely beneficial at any time of day – from an early morning stretch, a lunchtime de-stress or an evening wind-down. These sequenced are designed to be short, efficient and easy to incorporate at any time of day. They will reset your system, stretch and strengthen your whole body and alleviate winter stiffness. They will also prepare you for whatever the day has in store for you when practiced in the morning, or set you up for a good night’s sleep when practiced in the evening. Each of these sequences are designed to combat four different winter challenges, and set you up for the shorter days and long months ahead. On those colder days when you can’t get warm no matter how many jumpers you layer on, twists are your saviour! They stoke your internal generator and and get your circulation going. They also bring fresh oxygenated blood flow to all the organs of the torso, fueling them for optimum functionality. These biological functions naturally create energy and heat which keep you warm, cosy and glowing from the inside out. Starting your practice with any of the Sury Namaskaras will very quickly build whole body heat too. Along with twists and standing poses, you’ll notice plenty of raised arms in this sequence – this will add an extra bit of effort and get the muscles of the upper body warmed up. The immune system can get quite a hammering over the winter months. A simple head cold can lower your defenses enough to kick-start a run of nasty winter viruses. Backbends and twists press and massage the lining of the gut which stimulate it and help it work more efficiently at it’s many jobs – one of them being producing 80% of the immune system. A healthy gut fuels all the cells of the body, and builds a strong immune system. Inversions and twists also boost circulation which helps the function of the lymphatic system to help the body constantly clear out built-up toxins. Ever heard of the winter blues? Yes it’s a proven fact that we are inclined to feel more stressed and depressed over the winter months. Two of the best hacks when you’re feeling stressed is sunshine and fresh air. We’re less inclined to take to the great outdoors after a long day’s work in the dark winter evenings which means we have to think a bit more consciously about how to find ways to unwind indoors. Symptoms of stress crop up in many different ways. Tension in the hip joint can be brought on from sitting for long hours, but it can also be a sign of chronic stress as the body gets stuck in ‘fight or flight’ mode. Hip opener poses help to shift this physical tension, and in turn release emotional tension too. Spend a little extra time when you encounter a standing or seated forward bend in this sequence, and take some deep breaths to help calm and quieten a busy mind gone into overdrive. There is a reason why you might feel more tired and sleep longer in the winter months. You might find your melatonin (the sleep hormone) production a bit out of whack in the winter months. Daylight naturally reduces the production of melatonin, but when there are less daylight hours, or days where the sun doesn’t make much of an appearance at all, melatonin continues to be produced and leaves you feeling a bit sleepy and lethargic. Backbends and twists are very energising. They stretch the muscles of the respiratory system and help expand the breath – drawing in extra oxygen and circulating it around the whole body. Standing poses use the big muscles of the legs and increase circulation making you feel more awake. Balancing standing poses instantly wake you up! When you’re searching for you centre of gravity you need to be focused and awake. If you are really struggling to get on your mat just try a few rounds of one of the Sury Namaskaras. They are the adaptogens of the yoga world. When you need calming they calm you, when you need energy they energise you! Most importantly, have faith in your practice and know that the answers to all that ails you in the winter moths can be supported by your time on your mat.